We have great people working at Champlain College, and we want more! Join our community of engaged and empowered faculty and staff who work and teach with passion, drive and innovation! Founded in 1878, Champlain College is a private, baccalaureate institution that offers professionally focused master's, bachelor's and associate's degree programs and professional certificates on campus, online and abroad. We are a national leader in educating students to become skilled practitioners, effective professionals and global citizens. We offer a comprehensive benefits package which includes tuition benefits, generous retirement contributions and a professional working environment. Apply Now! Burlington is a warm and hospitable city, rich in ethnic culture and home to families from more than 60 countries. Burlington has been consistently ranked as one of the country's most livable small cities according to a number of national surveys and magazine reports based on criteria such as healthfulness, lifestyle and economic potential. View our current open positions or add your resume to our database if a desired position is not currently available. 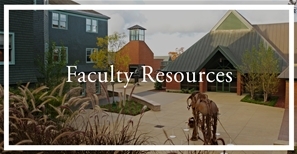 Interested in joining our adjunct faculty? Add your resume to our adjunct faculty database. Who would think a small college in Burlington, Vermont, could excel at inclusion and diversity initiatives? We did. See where we are, what we've done, how we're doing it and where we're headed. The Green Mountain Higher Education Consortium (GMHEC) is a collective effort of three Vermont colleges: Champlain College, Middlebury College, and Saint Michael's College. Its goal is to create and foster joint endeavors among these institutions by serving as an agent for economic and educational initiatives that bring value to all. 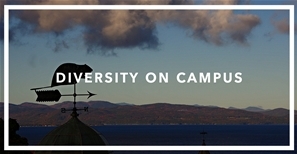 Champlain College's Annual Campus Public Safety and Fire Safety Report is now available. This report is required by federal law and contains policy statements and crime statistics for the school. The policy statements address the school's policies, procedures, and programs concerning safety and security — for example, policies for responding to emergency situations and sexual offenses. Federal law requires we notify the campus community about the availability of this report. Three years' worth of statistics are included for certain types of crimes that were reported to have occurred on-campus, in or on off-campus buildings or property controlled by the school, and on public property within or immediately adjacent to the campus. You may also request a paper copy from the Office of Campus Public Safety, P.O. Box 670, Burlington, VT 05401.